KINESIOTAPING helps enhance performance when applied to a specific muscle group. Our preferred tape of choice is known as ROCKTAPE. 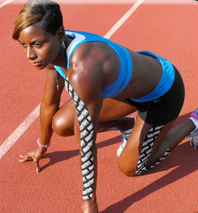 These functions enable ROCKTAPE to provide additional support, improve endurance and promote recovery. All you have to do is put ROCKTAPE on the areas on your body that need a little help and you can go stronger for longer. Unlike traditional athletic tape that binds and doesn’t stretch, ROCKTAPE is engineered to mimic the human skin. This “stretchiness” is the secret behind ROCKTAPE. 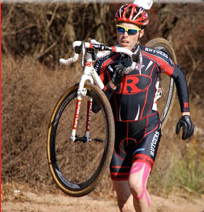 ROCKTAPE stretches up to 190% of its original length but has amazing ‘snap-back’ or recovery. This is what gives ROCKTAPE its performance advantage over other tapes. To achieve this, a special weave is made into the cotton when the tape is woven. This weave means the tape will stretch in only one direction and the tension of the weave is engineered to mimic the same elasticity as skin. Together, these properties create what we call a “Bio-Mechanical Lifting Mechanism”. This simply means that the tape can lift the skin away from the soft tissue underneath the skin. This lifting capability is what promotes blood flow and lymphatic drainage. ROCKTAPE can also be used to stabilise muscles and joints that have been sprained or strained. Unlike braces and sleeves that constrain and reduce blood flow, ROCKTAPE can provide support and stability while increasing blood flow. Thus, the tape’s capabilities make it well suited to the repair of localised muscle groups. Whether used for enhanced performance, muscle repair, stability management, or recovery, ROCKTAPE can be a valuable component in the anyone’s toolkit, from athletes to weekend warriors.